(P1) This news is about a bridge. It is new. It is in China. It connects two Chinese provinces. Without the bridge, a journey takes 4 hours. With the bridge, a journey takes only 1 hour. (P2) The bridge is 565 meters above the ground. It is a suspension bridge. A suspension bridge is a type of bridge. 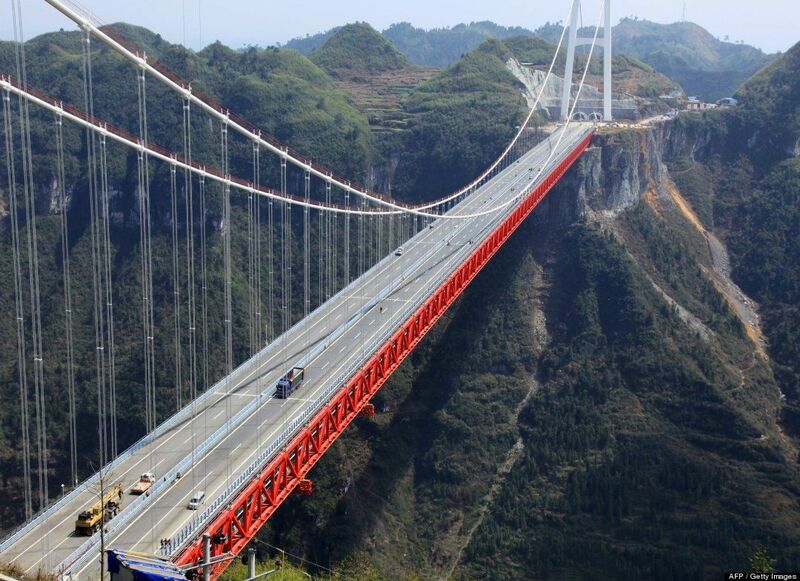 The bridge in China is the tallest bridge in the world of this type. (P3) The bridge opens before the end of the year. Do you like to drive or walk across bridges? Why or why not? Are there tall bridges in your country? If so, where? Would you like to visit China? Why or why not? Which country is the bridge in? How long does it take to across the bridge? How high is the bridge? What type of bridge is it? When will the bridge open?